The jazz quartet known to many as Portico are back with a new album, a new sound and a missing member. 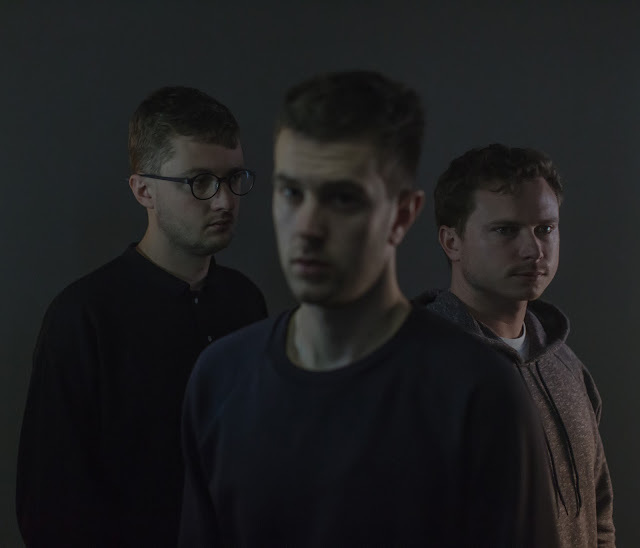 No longer a foursome, Portico have left behind their jazzy groove and have embraced a more electronic and synthpop-like sound. Jack Wyllie, Duncan Bellamy and Milo Fitzpatrick are embarking on a UK tour, introducing their brand new style and first album under the name Portico – Living Fields. With the saxophones buried deep, the band that was recently signed to Ninja Tune have been working hard on getting their new record out. A lot of experimenting and a rich palette of immersive beats has led to the final product which is definitely something new and worth a listen. With a more alt electronic sound, the piano, guitar and bass still play a big role throughout the record. Acoustic sounds are treated in an interesting way by effects or computers, with a lot of the sounds coming from synthesisers and drum machines. For their gig at Manchester Academy 3, Portico had not one but two support acts. First on stage, just after half 7, went Dead Circus. In front of a nearly empty venue, the duo started playing without introducing themselves and let their music speak for itself. In the 30 minutes Dead Circus were on stage, while the crowd was slowly growing, bass guitars and keyboards, with electronic drums in the background, created a chilled alt rock atmosphere to kick off the gig. Second on stage was Daudi Matisko. He started with a cheerful hello, a few jokes about Manchester weather and a promise to play some happy songs. The room went quiet and the chilled and peaceful acoustic guitar and the hushed whisper of his voice filled the venue. Under a single light on the stage, Matisko gave the performance kind of intimate and private feeling. As the clock struck half past nine, Portico went on stage in front of about 60 people. Joined by their friend and colleague Jono Mccleery, the band opened with Living Fields and instantly drew people to the stage. People got up from the floor and turned their back to the bar as the room got filled with melodic but elaborately arranged sounds, intercut by sharp drums. Portico’s music and new style was presented in an energy-loaded way and with character, being completed by McCleery’s angelic vocals and Bellamy’s perfectly timed percussions. The bass and beats coming from the keyboard were layering the tunes, helping the sound to escalate and drop again. Under the limited light of the stage, the band kept the gig’s intimate feel and, with its music, created a unique blend of the sublunary and the celestial. It was clear Portico were what everyone was there to see, as the passive crowd from before was now swaying and cheering, with no chatting during performances. Jono McCleery, with his angelic voice, was in perfect sync with Jack Wyllie’s vocals from the start to the very end. The choir-like, echoic music and the dark and relaxed, peaceful scene of the venue made the gig feel like a bubble of sounds and harmony. As the stage changed colours under the lights and tracks like 101, Memory of Newness and Where You Are took their turn on stage, the energy stayed the same with the crowd listening still, with the occasional head-nod, following the beat. The tempo slowed as the stage went from blue to purple to red, and the band announced their last song for the night. Closing the gig with the enigmatic Brittle, the band confirmed their new way of making music, with the extraordinary blend of synthesizers, subterranean bass and programmed and live drums. After witnessing them at Manchester Academy, it’s safe to say that Portico have made their statement and this might be just the start of a new era for the band.